Activated in 1943 and first based in Tunisia and then Italy, the Fifteenth Air Force carried out strategic bombing missions across Central Europe using B-17 Flying Fortress and B-24 Liberator bombers. It supported the Eighth Air Force during "Big Week," during which it sent hundreds of bombers and their P-51B "Mustang" escorts to bomb the German aircraft industry. Despite numerous successful bombing raids on aircraft factories, the Fifteenth Air Force faced significant opposition from the Luftwaffe and lost dozens of planes and their crews. The men of the Fifteenth Air Force heroically continued to fight despite these losses and bombed oil production facilities across Romania. They then began to perform "shuttle missions," where Fifteenth Air Force planes and crews were based in Soviet territory in order to more efficiently bomb targets across Eastern Europe. The Fifteenth Air Force ended the war by bombing German occupied France in support of the invasion of Southern France, and then launched raids of hundreds of bombers against railroad targets in Berlin. 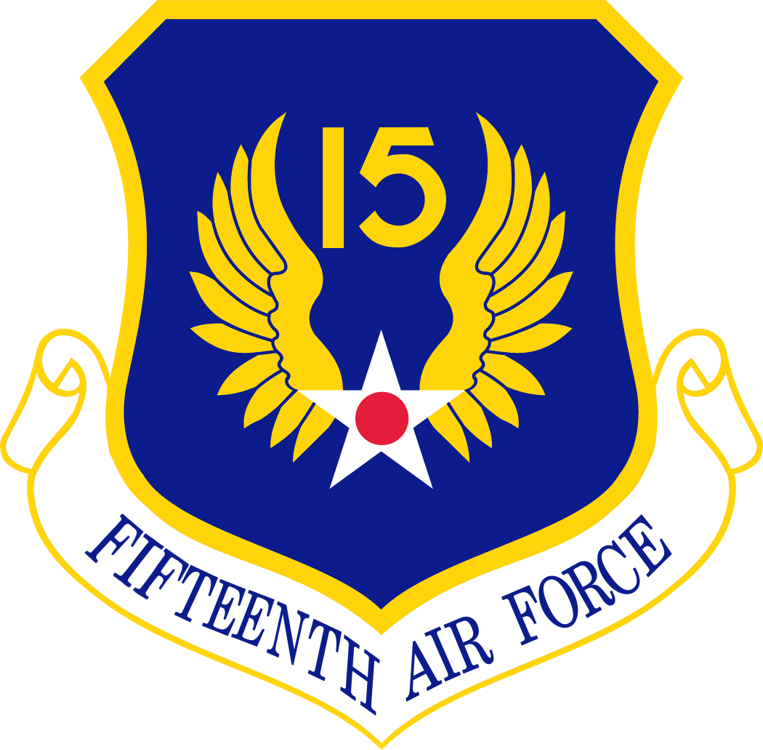 During the Cold War, the Fifteenth Air Force was reactivated and became part of Strategic Air Command. During the Korean War, the Fifteenth Air Force used B-29 Superfortress Bombers to launch thousands of raids against the North Korean communists. Then, during the Vietnam War, B-52 Stratofortress Bombers from the Fifteenth Air Force launched Arc Light Strikes against communist forces. After the Vietnam War, the Fifteenth Air Force took on the aerial refueling role, which is currently its only role. It is now known as the 15th Expeditionary Mobility Task Force.